RECALCULATING… | Thoughts of a Calabarboy. 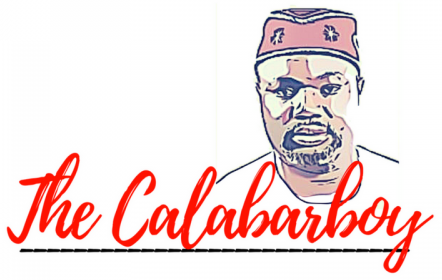 RECALCULATING… – Thoughts of a Calabarboy. I have been engaged in a lot of reflection these days on how God speaks to us. Growing from the phase wherein I hoped for a deeply bold and crystal clear voice speak audibly to me, to a time when I become sensitive to His voice in my heart, I have severally enjoyed the leading of God in my life; sometimes to an embarrassing degree. At this point I am still learning how God speaks, and in the midst of it all I remain awed at the fact that I just cannot trap God in His ways. He chooses to speak in myriads of ways and limiting Him to certain parameters of communication becomes foolhardy. One such way I understand the operations of God is in the technology that exists all around us. A lot of the inventions we see and utilize in making our lives more comfortable speak louder than their primary functions to us. Now I am appreciating why King Solomon had exercised so much wisdom, because he studied everything around him to find value and meaning. If we also look closely at the wonderful innovations of the modern times, we will find not just value in using them, but also a divine flow of revelations behind some of them. This is what I have been engaging my mind in for some weeks now, particularly after I heard a message at a particular Christian Assembly sometime back. For those of you who know or are at least aware of the Satellite technology, you will indeed agree with me that it is probably one of the most fascinating inventions of our time. To know that huge mechanical devices float around the earth in space, and that it can be used for many things such as telecommunications and weather observations, should send some shivers down your spine when you pry into their mechanism. Even more interesting is the fact that warfare has been made even more dangerously precise by satellite guided bombs and unmanned aircrafts, which is making humans obsolete in the game of combat. But what is of more fascination to me is its use as a directional guide for vehicles in cities around the world. Its recent adaptation for individual use in vehicles and even cell phones makes me even more interested in looking closely at its pointers to a divine voice. The fact that in your car or your pocket, you have a receiver that accepts signals and tells you step by step how to get to a predetermined locations is utterly amazing, and I am always moved to wonder each time I turn on my own device. Before the advent of the Global Positioning System (GPS) Navigational Device for individual use, people often used asked for directions and tried as much as possible to remember every description given, usually resulting in many wrong turns. In fact, many wives have quarreled with their husbands just because they will not stop the car and ask for directions. Others use maps when going long distances and ran the risk of multi-tasking both the wheels and the paper guide (MapQuest or Google Maps), and of course many have had near death experiences because of this. But today, all you need to do is just buy a GPS receiver, which comes with pre-installed maps, and you’re good to go anywhere. The first time I used it, I was knocked off by the precision with which I was guided, with absolutely no errors in its description of the turn and diversion, and with correct mileage (although I still had my MapQuest printout…lol). The voice activated commands makes you feel so comfortable going somewhere you have no idea where on the map it is. Today, I just sit in the car, punch in the address, the device loads and then speak up: “Drive 400ft, then turn left”. As soon as you obey and turn left, it continues “Continue 0.2miles, then turn left unto Tonelle road”. That usually begins my several journeys from my house. Now I have no fear of getting lost as long as my device is receiving signals and interpreting them appropriately. After listening to the message, I began imagining how God speaks to us and give us directions just like the GPS device. It opened my understand to the fact that the device in your car or in your pocket is nothing but a simple receiver and can do nothing but only receive and interpret signals. There are about 27 satellites hovering over the earth and at every point in time, your GPS device is communicating with three of them; measuring distance by coordinates to ease your navigation. The picture I keep getting is how God sits above all things and see all things from His perspective with an accuracy that is beyond any human comprehension. It reminds me of the scripture that says “He who comes from above is above all; he who is of the earth is earthly and speaks of the earth. He who comes from heaven is above all” (John 3:31). So God is like the satellites which sit above the earth and can see into details we cannot see from where we are located. Our Spirits our like the receivers, which do nothing, but receive directions from God above. Jesus put it this way when He was on earth: “I tell you the truth, the Son can do nothing by himself. He does only what he sees the Father doing. Whatever the Father does, the Son also does” (John 5:19). My walk with God makes so much sense to me everyday every time I turn on my device. Just as I trust the satellites and my device to function effective and lead me with accuracy, so also my trust in God should be without apprehension. But what is even more wowing and utterly consoling about the GPS device is that it has the ability to redirect you back to where you missed. Often time, we miss the lead or disobey the instructions of the GPS only to veer totally off course. Suddenly you hear the voice prompt say: “Recalculating”. That is like the most soothing thing to hear, that you will be redirected back to the way, or it will identify another course to take to get to the same destination. Brilliant! I am so glad that God doesn’t dump us when we disobey the signals sent into our Spirits. Most times all the noise around doesn’t let us hear His voice clearly or we willfully disobey only to land ourselves in deep trouble. Some have gone down a wrong road so far that it looks absolutely irredeemable. But like the voice from the GPS device, you suddenly hear the Lord say: “Recalculating…Son make a turn”. I can imagine how much compassion is in God to help us find a way back to the course that He has set for us. Some of us and many years away from our callings, but relax, there is a recalculation on the way. No matter how lost you feel, as long as you turn your Spiritual device on, you will with “Your own ears will hear him. Right behind you a voice will say, this is the way you should go, whether to the right or to the left” (Isaiah 20:21). So next time you turn your GPS device on, remember God’s Positioning System. Remember how sovereign and all knowing He is. Remember that He will never lead you in the path of destruction. Remember that His thoughts towards you are that of good and not of evil, to give you an expected end. Remember that all we like Sheep have gone astray and each of us have turned our own separate ways. Remember the mercy of God and how His constraining love prevents us from danger. Remember that He will not lead us in the path to temptation, but will deliver us from all evil. Remember also that you can do nothing of your own, for it is He that works in you both to will and to do of His good pleasure. Remember that in Him we move and live and have our being. Remember that all things will work together for the good of them that love Him and are the called according to His purpose. And finally remember that there is a promise of entering into His rest, if we follow Him carefully with accuracy and precision. For then we will cease from our own labour, and enjoy the stress free cruise which a GPS device guarantees. So by what is God speaking to you? Tell me! Great looking website. Proud of you. Don’t stop working to make your world a better place. Thanks Bayo. You’re the man! Proud of a fellow Calabar boy.